Omnichannel execution is a process worth perfecting, but there’s still a lot of work to be done. The evolution of the physical store into an omnichannel strategy requires new KPIs and cultural change. The age-old retail adage “know your customer” comes up at every session we attended. The digital transformation of retail is enabling technology, machine learning and artificial intelligence (AI) to support this truism to better meet consumer needs, anticipate desires and develop emotional bonds. 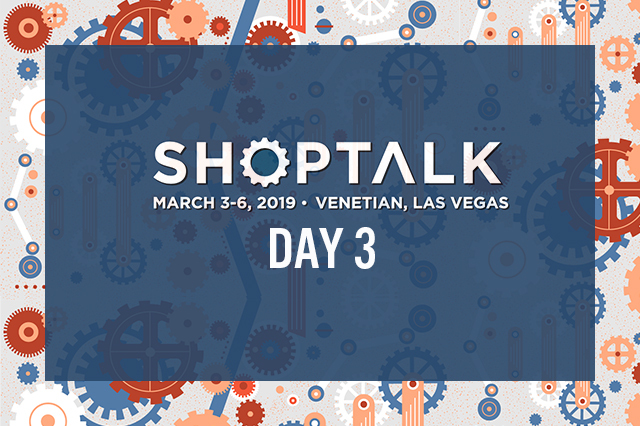 Coresight Research is in Las Vegas this week, attending and participating in the Shoptalk 2019 conference held March 3-6. In this report we share our key insights from the third day of the conference. Few retailers have developed truly seamless omnichannel experiences and there is still a lot of work to be done on the issues of managing prices, products and promotions across every consumer touchpoint. Click and collect or buy online pickup in store (BOPIS) and infinite aisles require accurate inventory visibility. This capability is a work in progress, but worth the effort because the omnichannel shopper on average spends about 30% more, and nearly 30% of shoppers who buy online and pick up in store purchase additional items in the store. Old Navy, an $8 billion retailer, has been on a two-year omnichannel customer journey, learning where, when and how the customer wants to shop and trying to facilitate the journey. BOPIS is evolving with some hiccups, such as canceled orders. In December, the company partnered with Lyft to give online shoppers a free ride to Old Navy: 20% of the shoppers who took the ride had previously been online customers only. Some works in progress that are driven by consumer desires are curbside pickup, same-day delivery, order instore and self-service payment via phone. Blair Dunn, SVP/GM at Old Navy said stores today are about great experiences, engaging with the brand, providing customer service such as returns and BOPIS; not necessarily buying. This requires a change at headquarters and at the store level in terms of expectations and enabling the organization to win at omnichannel. New KPIs around customer engagement and incentivizing store managers on the online sales in the local trade areas gets the team better aligned at serving the customer, driving engagement and return visits. RJ Cilley, SVP and Chief Digital Officer at HBC, which owns the Hudson’s Bay, Saks Fifth Avenue, and Lord & Taylor banners, said the next step is personalization of the omnichannel experience: Tell the shopper what they want before they know they want it. Technology and data insights can do what the local specialty store once did. With the acquisition of Gilt and its data scientist team, the company can recommend with a laser focus. People trust brands such as Saks Fifth Avenue to tell them what to buy: They are yearning for it. The retail organization needs to be educated with a transparent vision and understanding of what digital is doing and can do for the overall business. At HBC they start at Hudson’s Bay and Saks and roll out appropriately to the other retail banners. Visual recommendations and complete-the-look are leading the organization into retail’s future. At UK-based River Island, omnichannel began about eight years ago, led by c-level management that was committed to the transformation and endured the requisite learnings and mistakes that turning an organization around entail. Quickly, about 45% of the digital business went click and collect, impacting inventory, store size and store labor. Today, thanks to machine learning and AI, the company is hyper-localized with store level inventory and is attuned to what customers will buy when they go into a store, according to Doug Gardner, River Island’s Chief Information Officer. A store’s revenues could potentially be a net zero or less, but that is often due to the amount of online returns at the store. But store returns for online purchases provide a marketplace and customer service: new KPIs. At River Island, online returns to stores are sent back to the distribution center to avoid broken and mismatched assortments at the store, which could damage brand building as a fashion destination. And the store looks different too. By removing checkouts, changing bag locations and using mobile for checkout the store has been redesigned. The digital transformation of retail is enabling technology, machine learning and AI to support this truism to better meet consumer needs, anticipate desires and develop emotional bonds. Despite all the work and success at River Island, the company still does not have a single view of the customer but as its data teams use analytics and insight tools they are changing River Island from a vertical retailer with a product focus to a customer focused organization with multiple consumer touchpoints. Victor Luis, CEO of Tapestry, at the closing keynote Tuesday spoke to the 120 million names in the company’s database that a team of nearly 20 data scientists works with. The company captures 90% of in-store transactions (and everything on the web) as it follows the customer to understand habits. As a house of brands (Coach, Kate Spade and Stuart Weitzman) the company can consolidate the data and look at category and color to help design teams as it begins the next season’s collections. The data also inform the real estate planning tool guiding open/renew/close options, incorporating potential cannibalization and local competitors. For Marvin Ellison, President and CEO at Lowe’s, understanding the three different types of customers that shop differently is requisite for success: the do-it-yourself (DIY), the do-it-for-me and the professional. Lowe’s 110,000-square-foot store can serve all, the core DIYer, and the pro that spends five times as much and who represents the segment Lowe’s is trying to grow. Different teams serve these different customers with different needs and sophistication.